Resources are the most crucial asset in any type of industry or organization. Thus, it’s very important to hire an offshore software development company having resources with required skill sets and experience. It’s like having the right resource at the right time and at the right price. Since, depending on different geographical locations, it is not easy to find local resources that match your expectations. Let us take a scenario where a software company which provides custom enterprise application development, financial software development & banking solutions require a team of senior developers & project lead with expertise into Microsoft, BI & Oracle technologies with 3-6 years of experience. What if they are not able to find local resources with these required skill sets? What would an organization do? Do they need to shut down their operations or tell their clients that they can’t develop such a product? Only for a reason being that they lack resources? They can’t afford to do so. There has to be Business Continuity Plan in place for every organization. Here comes an option of hiring offshore software Development Company having resources with specialized skill sets and experience. It’s just a matter of finding the right offshore software development company that offers high cost-effectiveness which in-turn increases the efficiency and profitability of the company. The most important factor of outsourcing to an offshore software development company is that the work gets done and the product is launched in the market within the stipulated time. Do you fall into the same scenario or a situation where you want to expand your team, but are not able to do so due to inadequate resources? Then try exploring offshore market. It’s just about doing some research, spending some time and discussing with relevant offshore software Development Company. It will help you to grow like nothing before. Need some help on how to go ahead? 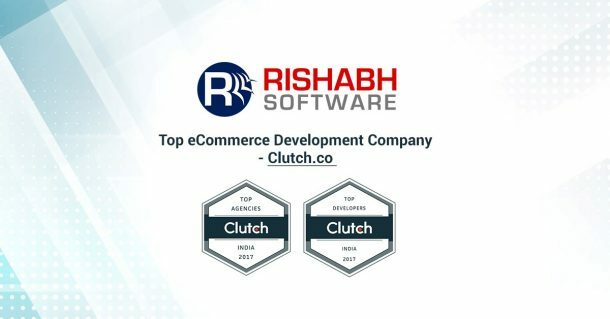 Contact us today and find out how Rishabh’s experience in software development can help you with your next software project.